Cider making equipment can be kept pretty basic. If you only brew a small quantity of cider or perry you can get away without press and crusher etc. All you need should be available from any good homebrew shop. 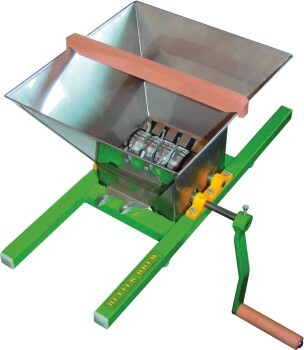 A fruit crusher is invaluable if you are making anything but a very small quantity of cider. It is important that you slice or crush the fruit before attempting to press it and although you can do that with a kitchen knife, it is a lot to do 20-40 kgs of fruit. 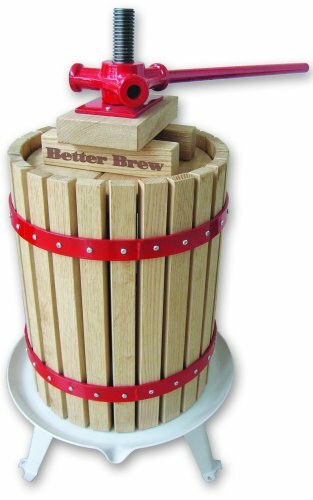 Better Brew has good fruit crushers, available from all well assorted homebrew stockists. A fruit press is highly recommended, again if you do anything but a very small amount of cider. For the small amounts you can use any fruit juicer or even press by hand, but you will probably not get all the juice out of your fruit as you can't apply enough pressure. The Better Brew presses (6L, 12L or 18L) are good quality traditional birch and steel ones which will get the last drop out of your pears or apples. You will of course need a fermenter of some sort. 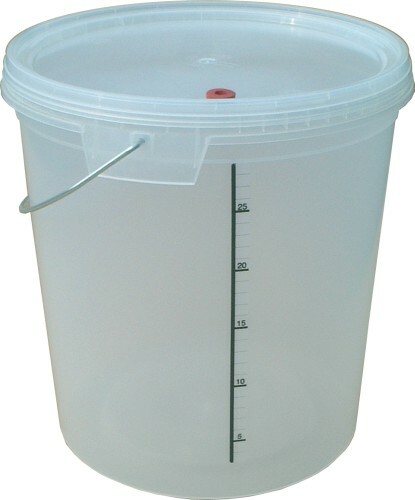 One of the better is the large 33L bucket with a lid and hole/bung for an airlock. 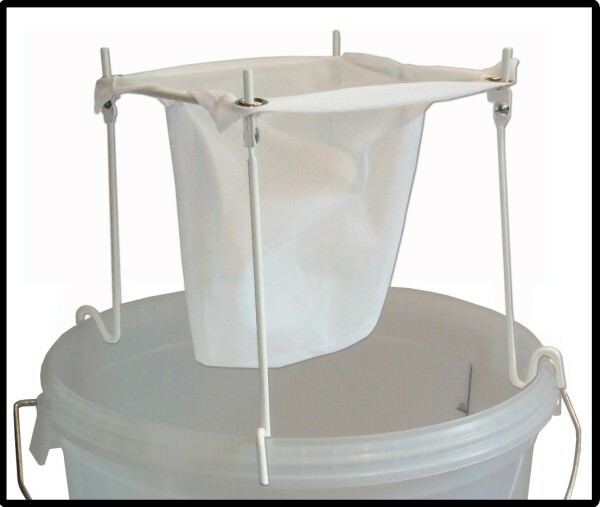 Remember you need some headspace, so the 33L bucket will handle 25-28 litres with ease. You may need to filter your juice, especially if you do not use a fruit press (that comes with a filter bag). If you slice and squeeze by hand, this little nifty gadget, a strainer for the 33L bucket (Better Brew brand again) is very helpful. You need to add a small amount of crushed campden tablets at start in order to kill off any wild yeasts. 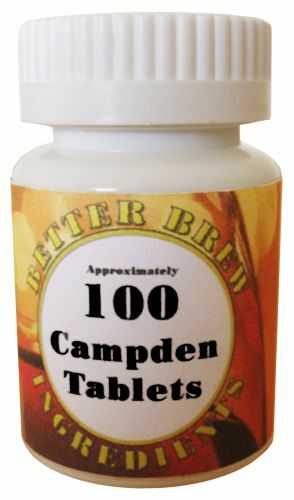 Campden tablets are also good to have for making up a sterilising liquid to clean/sterilise your equipment. The airlock is very important. It allows the CO2 to escape, while preventing the outside air from getting to your brew. For racking off and for bottling, use a good homebrew syphon. 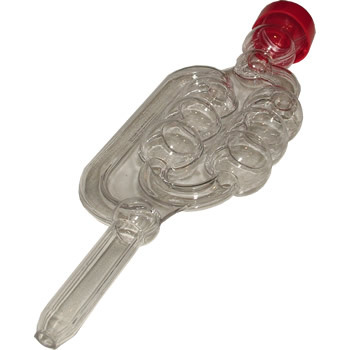 This is an extendable model (telescopic) which will fit any fermenter nicely.